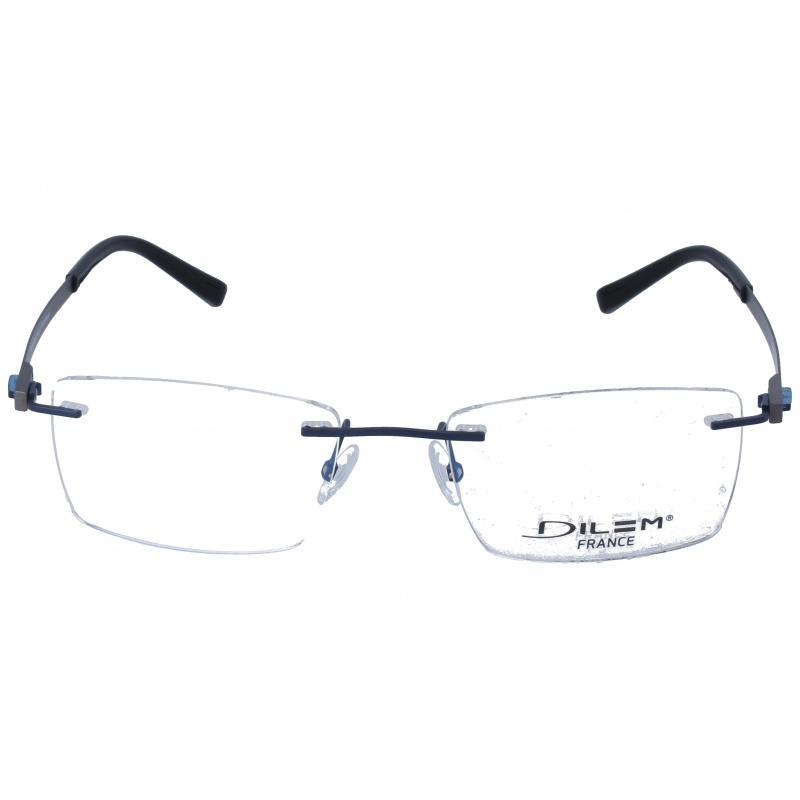 Eyewear by the brand DILEM, for Eyeglasses for men, with reference M0014270, with a(n) Sporty style.These Dilem 2KC 03 52 19 have a(n) Rimless frame made of Metal with a(n) Squared shape in Lead colour. Their size is 52mm and their bridge width is 19mm, with a total frame width of 71mm. These glasses are suitable for prescription lenses. These are top of the range glasses from the brand DILEM, made of high-quality materials, modern eyewear that will give you a look that matches your image. Buy Dilem 2KC 03 52 19 eyewear in an easy and safe way at the best price in our online store. string(155) "Dilem 2KC 03 52 19 GlassesEyewear by the brand DILEM, for Eyeglasses for men, with reference M0014270, with a(n) Sporty style.These Dilem 2KC 03 52 19 h..."
string(18) "Dilem 2KC 03 52 19"
Eyewear by the brand DILEM, for Eyeglasses for men, with reference M0014269, with a(n) Sporty style.These Dilem 2KD 04 54 19 have a(n) Rimless frame made of Metal with a(n) Squared shape in Blue colour. Their size is 54mm and their bridge width is 19mm, with a total frame width of 73mm. These glasses are suitable for prescription lenses. These are top of the range glasses from the brand DILEM, made of high-quality materials, modern eyewear that will give you a look that matches your image. Buy Dilem 2KD 04 54 19 eyewear in an easy and safe way at the best price in our online store. string(155) "Dilem 2KD 04 54 19 GlassesEyewear by the brand DILEM, for Eyeglasses for men, with reference M0014269, with a(n) Sporty style.These Dilem 2KD 04 54 19 h..."
string(18) "Dilem 2KD 04 54 19"
Eyewear by the brand DILEM, for Eyeglasses for women, with reference M0014268, with a(n) Modern and Female style.These Dilem 2AA 01 49 18 have a(n) Semi Rimless frame made of Titanium with a(n) Cat Eye shape in Black colour. Their size is 49mm and their bridge width is 18mm, with a total frame width of 67mm. These glasses are suitable for prescription lenses. These are top of the range glasses from the brand DILEM, made of high-quality materials, modern eyewear that will give you a look that matches your image. Buy Dilem 2AA 01 49 18 eyewear in an easy and safe way at the best price in our online store. string(155) "Dilem 2AA 01 49 18 GlassesEyewear by the brand DILEM, for Eyeglasses for women, with reference M0014268, with a(n) Modern and Female style.These Dilem 2..."
string(18) "Dilem 2AA 01 49 18"
Eyewear by the brand DILEM, for Eyeglasses for men, with reference M0014267, with a(n) Sporty style.These Dilem 1UF 53 52 19 have a(n) Semi Rimless frame made of Metal with a(n) Squared shape in Black colour. Their size is 52mm and their bridge width is 19mm, with a total frame width of 71mm. These glasses are suitable for prescription lenses. These are top of the range glasses from the brand DILEM, made of high-quality materials, modern eyewear that will give you a look that matches your image. 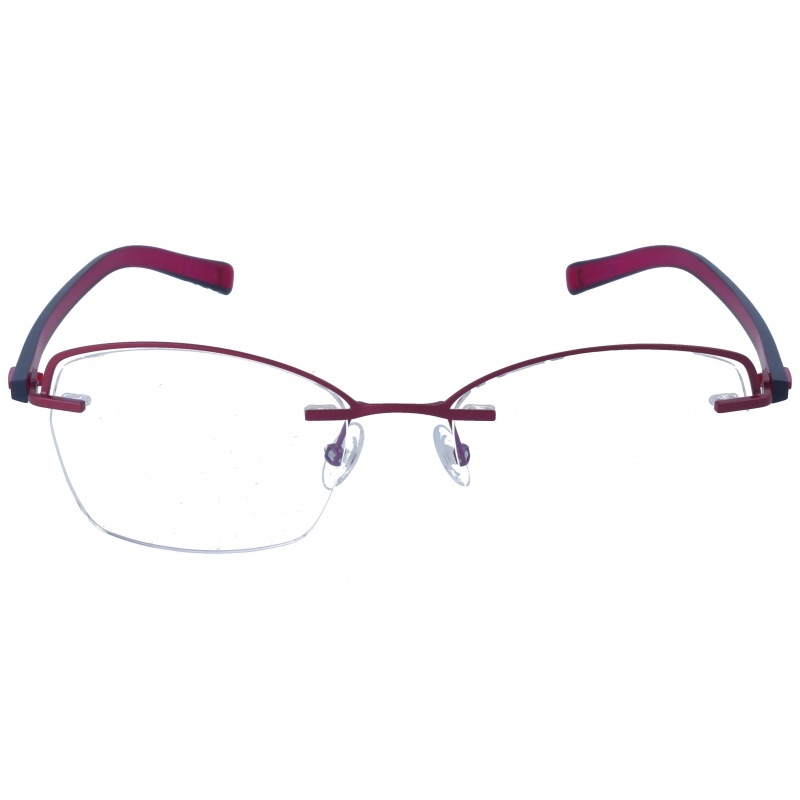 Buy Dilem 1UF 53 52 19 eyewear in an easy and safe way at the best price in our online store. string(155) "Dilem 1UF 53 52 19 GlassesEyewear by the brand DILEM, for Eyeglasses for men, with reference M0014267, with a(n) Sporty style.These Dilem 1UF 53 52 19 h..."
string(18) "Dilem 1UF 53 52 19"
Eyewear by the brand DILEM, for Eyeglasses for men, with reference M0014266, with a(n) Sporty style.These Dilem 1UF 50 52 19 have a(n) Semi Rimless frame made of Metal with a(n) Squared shape in Black colour. Their size is 52mm and their bridge width is 19mm, with a total frame width of 71mm. These glasses are suitable for prescription lenses. These are top of the range glasses from the brand DILEM, made of high-quality materials, modern eyewear that will give you a look that matches your image. 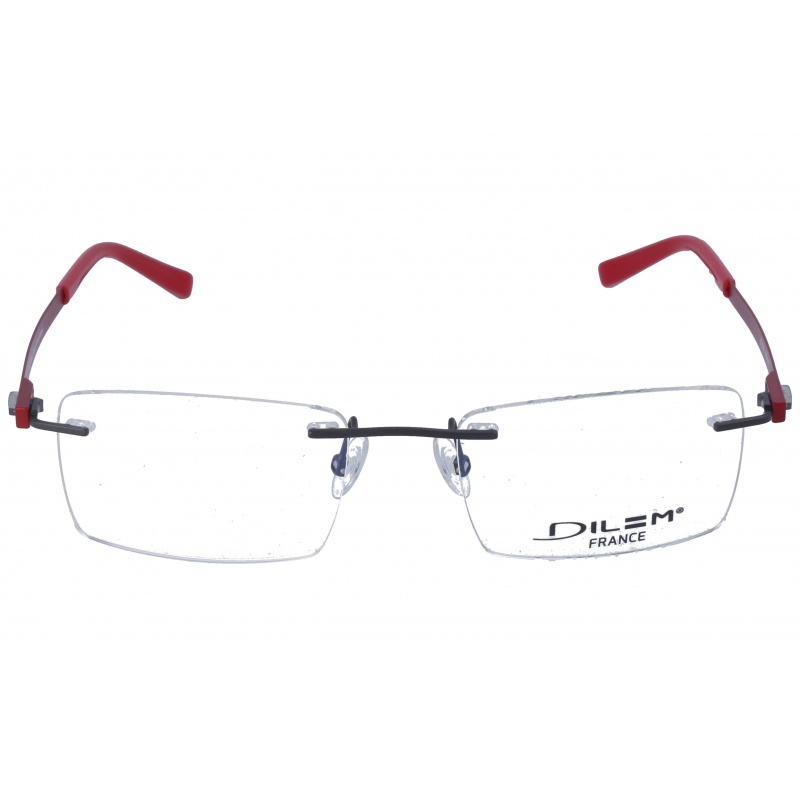 Buy Dilem 1UF 50 52 19 eyewear in an easy and safe way at the best price in our online store. 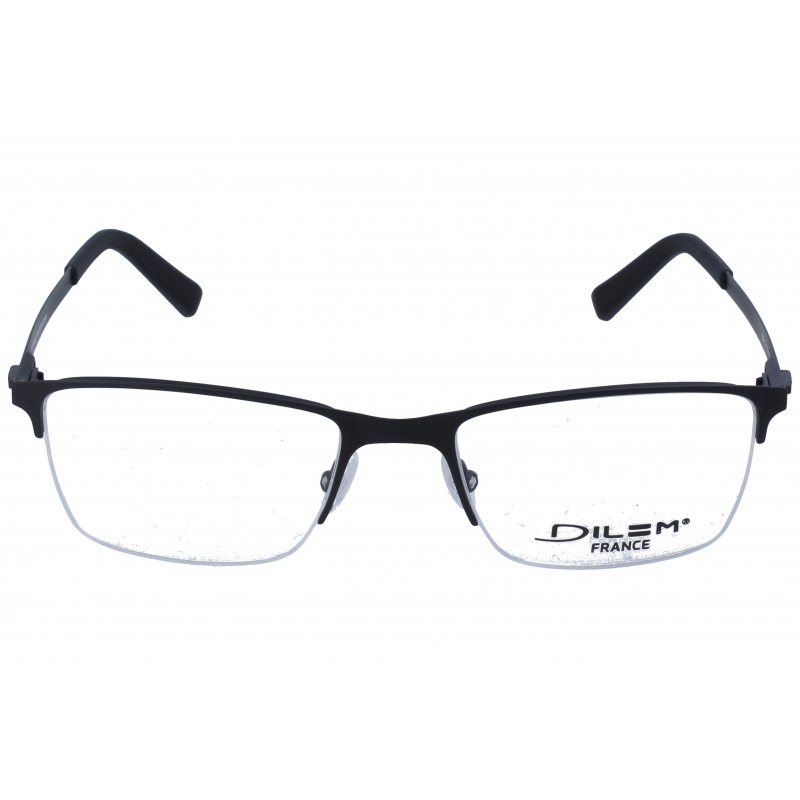 string(155) "Dilem 1UF 50 52 19 GlassesEyewear by the brand DILEM, for Eyeglasses for men, with reference M0014266, with a(n) Sporty style.These Dilem 1UF 50 52 19 h..."
string(18) "Dilem 1UF 50 52 19"
Eyewear by the brand DILEM, for Eyeglasses for men, with reference M0014265, with a(n) Sporty style.These Dilem 1ND 31 56 19 have a(n) Semi Rimless frame made of Metal with a(n) Squared shape in Blue colour. Their size is 56mm and their bridge width is 19mm, with a total frame width of 75mm. These glasses are suitable for prescription lenses. These are top of the range glasses from the brand DILEM, made of high-quality materials, modern eyewear that will give you a look that matches your image. Buy Dilem 1ND 31 56 19 eyewear in an easy and safe way at the best price in our online store. string(155) "Dilem 1ND 31 56 19 GlassesEyewear by the brand DILEM, for Eyeglasses for men, with reference M0014265, with a(n) Sporty style.These Dilem 1ND 31 56 19 h..."
string(18) "Dilem 1ND 31 56 19"
Eyewear by the brand DILEM, for Eyeglasses for women, with reference M0014264, with a(n) Modern and Female style.These Dilem 2LC 21 53 18 have a(n) Semi Rimless frame made of Titanium with a(n) Cat Eye shape in Pink colour. Their size is 53mm and their bridge width is 18mm, with a total frame width of 71mm. These glasses are suitable for prescription lenses. These are top of the range glasses from the brand DILEM, made of high-quality materials, modern eyewear that will give you a look that matches your image. Buy Dilem 2LC 21 53 18 eyewear in an easy and safe way at the best price in our online store. string(155) "Dilem 2LC 21 53 18 GlassesEyewear by the brand DILEM, for Eyeglasses for women, with reference M0014264, with a(n) Modern and Female style.These Dilem 2..."
string(18) "Dilem 2LC 21 53 18"